Swisspearl is a non-combustible high-density fibre-cement façade material that is unparalleled for quality and colour range. The ideal solution for re-cladding and rectification works where non-combustible products are required. 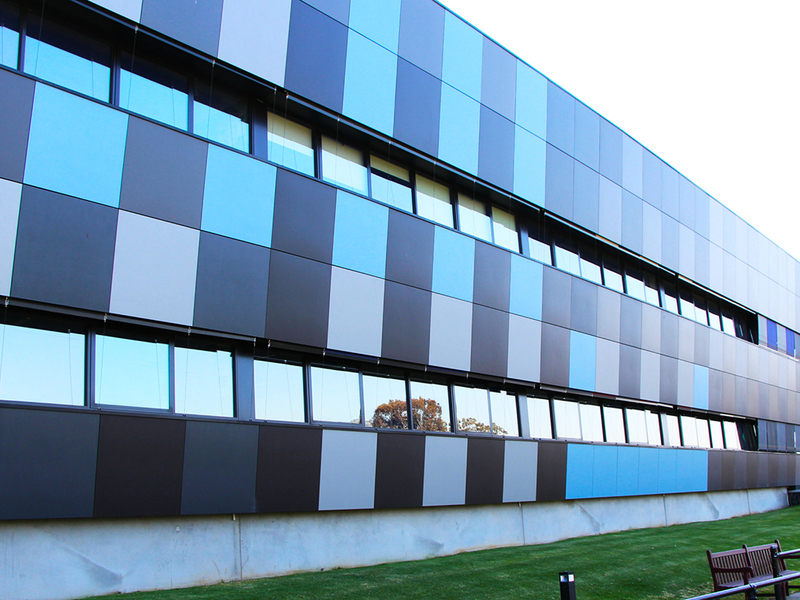 Maintenance free, coloured through and durable, Swisspearl ensures long-term performance in our harsh Australian environment. Great design possibilities with perforations, different shapes and/or engravings. The panels are installed as a rear-ventilated system providing a natural, energy efficient method, are low maintenance and impact resistant. Swisspearl provides sustainable advantages with 95% of the product being made up of natural raw materials. In addition to 90 standard colours spanning across 7 ranges, we also offer custom colouring matching for limitless design possibilities. A wide range of colours now stocked locally.